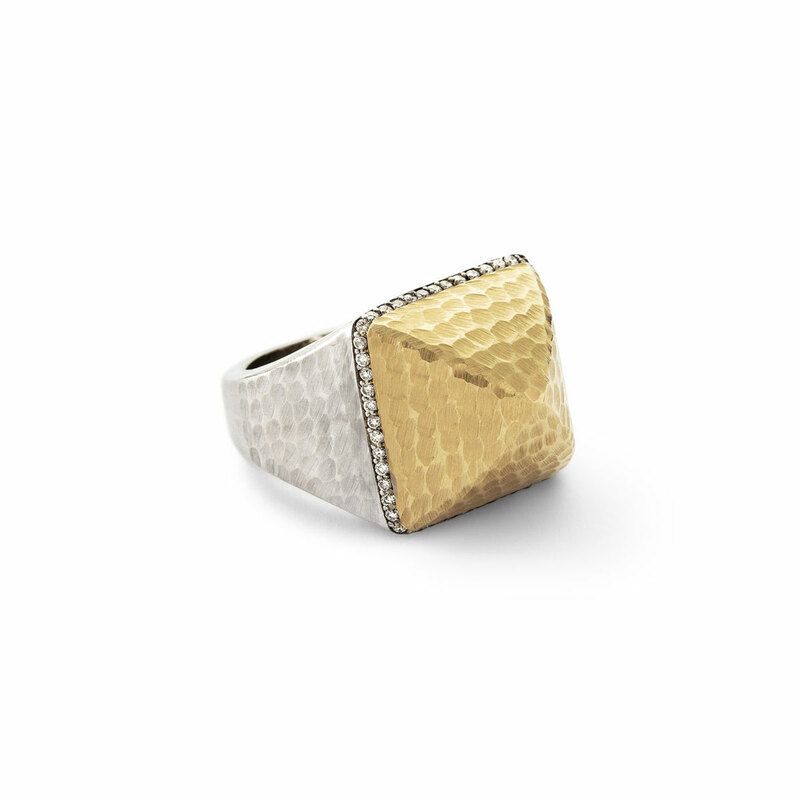 Ancient meets contemporary in this stylishly bold power ring. 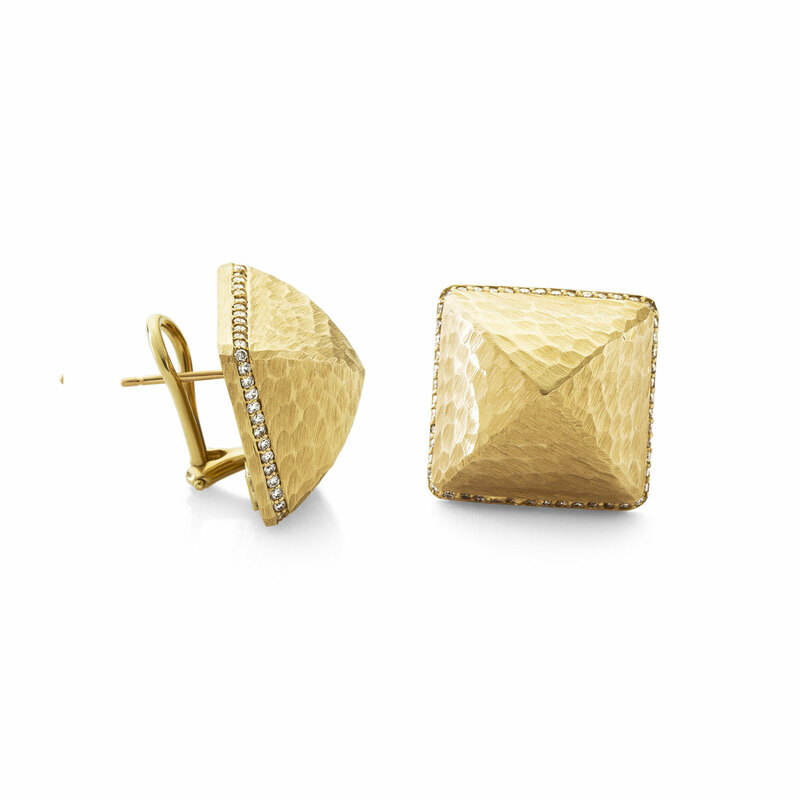 Matte hammered gold and a domed pyramid shape nod to the past, while the designer’s signature circular cutouts keep the design solely in the present. 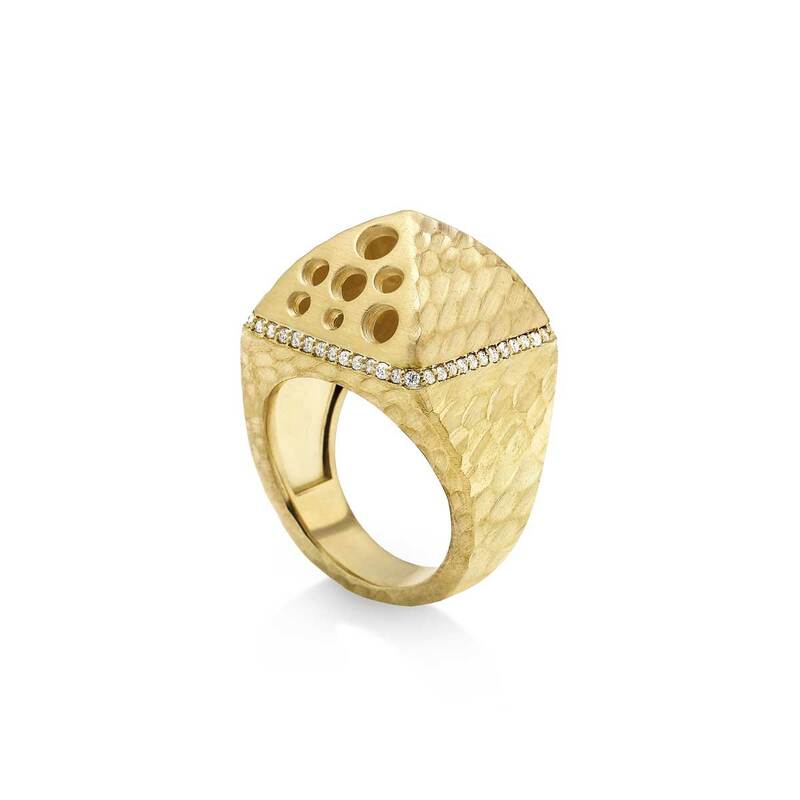 Made in New York City from reclaimed 18k yellow gold and conflict-free pave diamonds. Size 7 1/4. 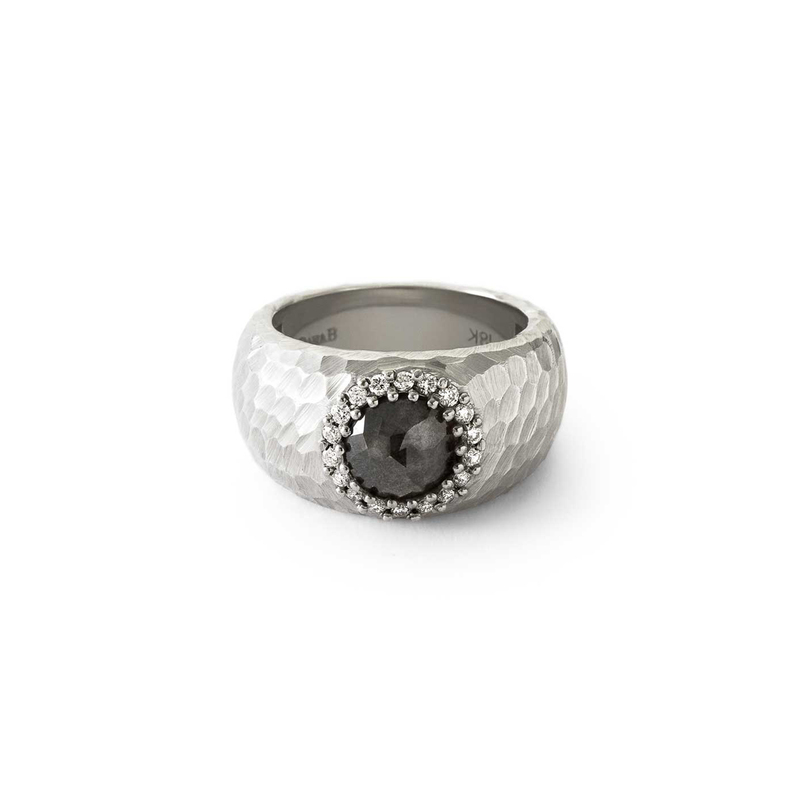 Complimentary resizing available for most ring sizes. 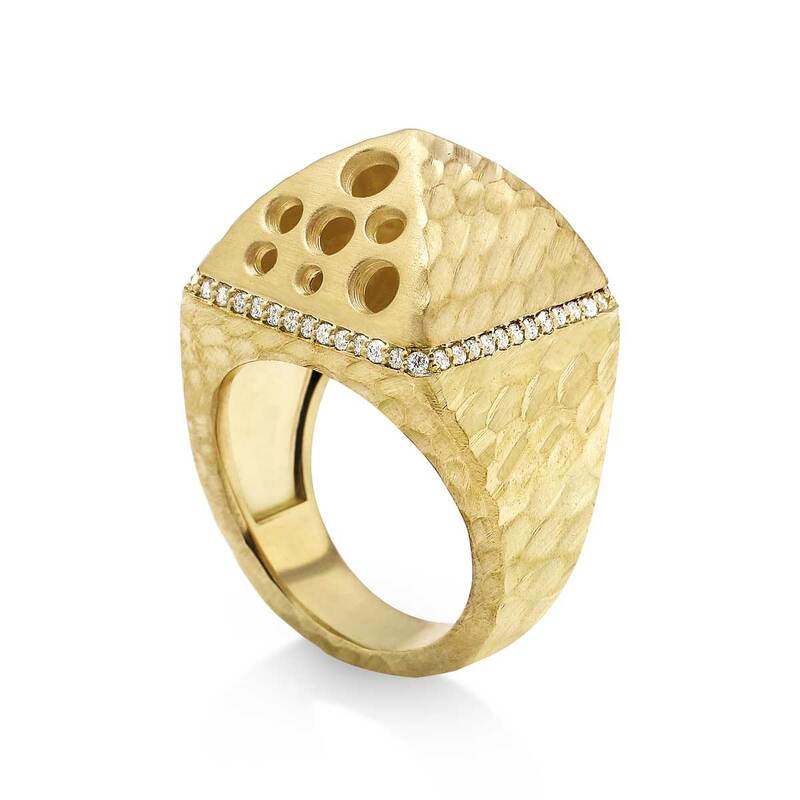 A pyramid shape and edgy “oculus” cutouts add a cool edge to this uber power ring fit for a superhero.